Let’s talk about the weather, shall we? In Guam, many residents have commented that the weather is invariably sporadic. You’ll have sun one day, rain the other and, more often than not, sun AND rain. I’m not kidding. I’m not quite sure if it happens in other parts of the world, but when it rains on a clear, nearly cloudless day, I start to question the laws of nature. But with temperatures ranging from 75 to 90 degrees Fahrenheit everyday and with humidity always above 80 percent, I can always step out of my front door wearing shorts, a t-shirt and flip-flops. Then I came to Boston. 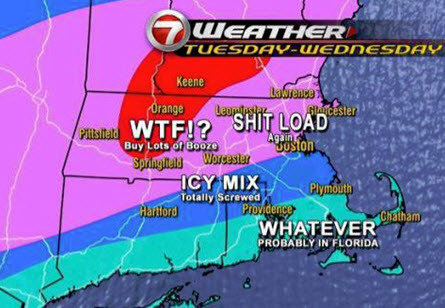 Oh, Boston. I’m still learning to adapt to your hormonal climate. I’ve made the common newcomer mistake of failing to check the weather report before I leave Claflin Hall. When I went out last Friday night with a couple of friends, I wore jeans, a t-shirt and a hoodie. And of course they wore multiple layers, scarves and either a jacket or coat. I looked misplaced. I checked the temperature for the evening and saw that it was 40 degrees. Stupid me. So, as we were walking down the streets of Boston, I was getting a beat-down by the frosty wind and nasty temperature. I was shivering and my face was going to freeze. I was getting laughed at by my friends who tried their best to keep me warm by huddling around me. Love them.I earned a nickname that night: “Guam Bear,” because my hoodie made me look like a koala. 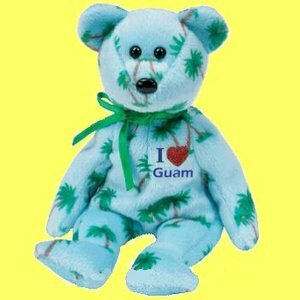 There are no koalas nor bears in Guam, just to let you know. This is crucial to your warmth. Employing layers creates pockets of air between your clothes that will insulate your body. Wear as many layers as you feel comfortable, but there are three important things to remember when layering: wicking, insulation and protection. Yes, it’s cold. But that doesn’t mean you won’t sweat. Find clothes that wick moisture off your body so that you will continue to feel dry and warm. With that in mind, this layer should be closest to your skin. Insulators are pretty much self-explanatory: they keep you even warmer. Wear a shirt over the wicking layer, add a sweater over it and maybe a jacket on top of that. Wear sweatpants under your jeans. The point is to get toasty. Last but not the least is the protective layer. This layer will guard you from rain, wind and snow. Coats and waterproof jackets are ideal for this layer. One good thing about layers is that you can adjust them throughout the day. Oh, it stopped raining? Time to take off the raincoat. It’s hotter now? Time to remove a layer or two. A majority of your body heat escapes through your head, or so I’m told, so it’s important to keep it covered and warm. Beanies, knit caps and a trooper hat will work just fine. Scarves are a great way to keep your neck warm and protected from the wind and they can be stylish, too. Wearing gloves or mittens if your hands get cold easily is a great idea, too. Don’t forget your feet. Layer up on those socks, and remember, find socks that have wicking power. I’m still learning to remember to do this. Before you decide your outfit of the day, take a look at the weather. It can be the difference between shivering like a wet cat and feeling warm and comfortable on a nice evening out in the city. Well, that’s all I have for now. Maybe I’ll come up with more tips as the season progresses and it gets even colder. Until then, stay warm and dry.